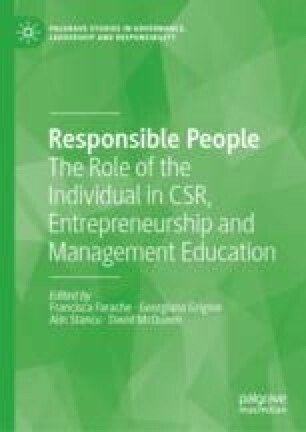 This chapter discusses what being socially conscious means for marketers and draws on the experience of developing CSR and sustainability education at a UK business school, to gain understanding of the role universities can play in enhancing future marketing managers’ sense of social consciousness and responsibility. Literature shows that socially conscious marketing practices are no longer just a ‘perk’ or selling point for PR purposes. Both from a business and profitability standpoint, and also from a moral standpoint, being socially conscious should be a requirement. Marketing education has a role in helping students develop their consciousness of society. If marketing educators fail to integrate those dimensions into their teaching, they will fail to prepare students to be responsible members of the marketing community. A case study method was used to enhance discussion. Qualitative data were collected via interviews of different protagonists within the business school to capture how they incorporate CSR and sustainability issues into their marketing curriculum. Analysis shows that, beyond creating explicit student opportunities around CSR, universities can play an active role in embedding social consciousness and responsibility as part of their own strategic plan. Educating students to be responsible individuals and become responsible managers who will affect their world in the best possible way. University of Brighton. 2016. Practical Wisdom: University Strategy 2016–2021. Available at https://www.brighton.ac.uk/practical-wisdom/index.aspx.